Beautiful flowers, singing birds, stunning sunshine and bright blue skies! An outdoor ceremony is a gorgeous and refreshing way to celebrate your special day with beloved family and friends with scenic nature as your backdrop. While planning a wedding involves plenty of moving parts from the bridal party to the ceremony to the reception, having a checklist that ensures you take advantage of the scenic outdoors is a must. This may seem like a given, but be sure to notify all of your guests ahead of time that your ceremony will be held outside. You can create a wedding website (there are a number of free, easy-to-use options) or include the information on your invitations. This will help your guests to know what to wear so that they’re comfortable and ready for the weather, whether your wedding is formal or on the more casual end. Consider a party favor or ceremony program for your guests that complements the current season or weather conditions. Since our peak season here at the Garden is summer, we suggest sunglasses for sunny days, umbrellas for unexpected showers or programs on sticks (which work well as fans) to help cool down your guests, especially if it’s hot and humid out. You can easily get these items in your wedding colors or even inscribed with you and your partner’s names. You might also want to consider gifting small cans of bug spray or providing a bug spray station. Mosquitoes can be quite nasty at certain times in summer and fall. If your wedding is going to be in early spring or late fall, we recommend small blankets, hats or even a warm beverage to warm up guests in cooler weather. 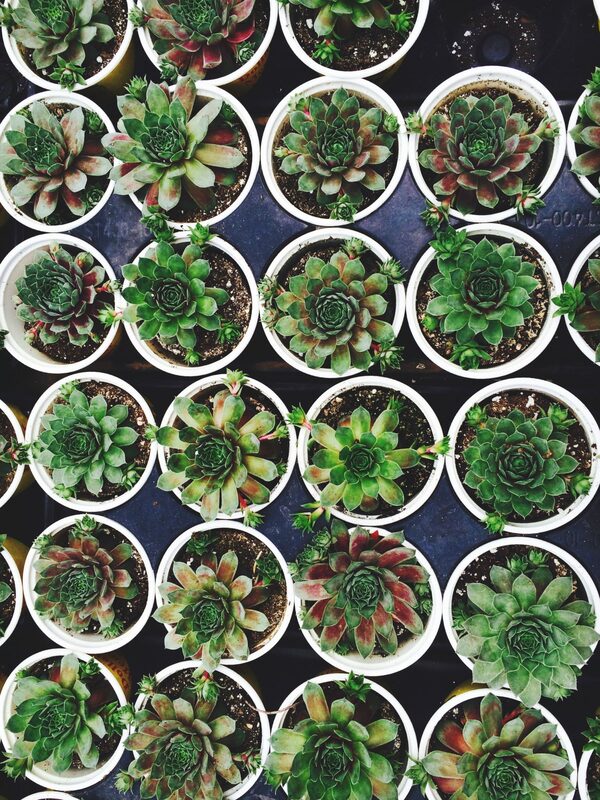 You can also hand out seed packets, starter trees or even tiny succulents if you’re looking for a garden-themed gift for your guests. Having a ceremony outdoors is a wonderful and beautiful thing, but Mother Nature won’t always follow your plans. If there’s rain or severe weather, do you have a backup plan in place? 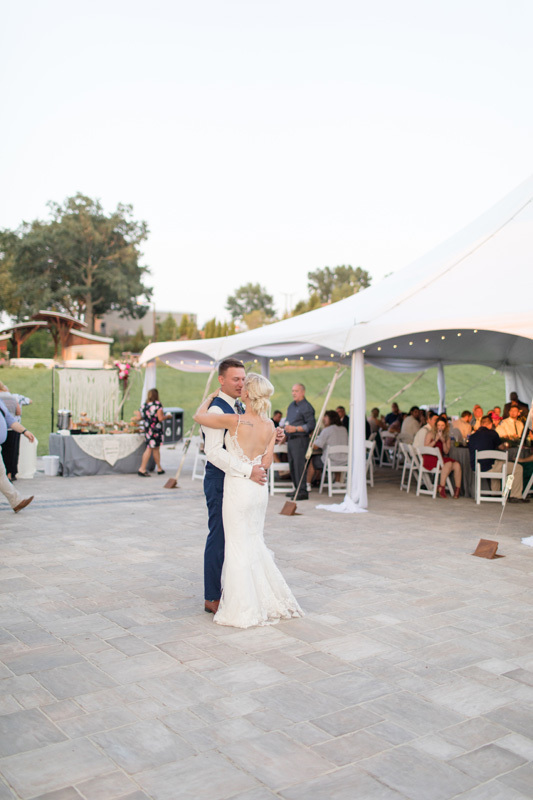 Here at the Garden, we work with a tent rental company to ensure our clients have a backup plan. Tents should be rented 6 – 8 months in advance to ensure their availability. Two days before your wedding, you will either choose to move forward with having the tent set up or cancel it and receive 50% of your payment back. We’re always checking the weather on our end, too! Some couples have chosen to move things indoors at their reception site when necessary. Think about the routes that your guests need to take on foot to get to the site. How far will they need to walk? Is your location in a secluded area? Will it take them a little longer to get there? Should they arrive earlier to get to the site on time? Will your grandparents or another family member need assistance getting there? Do you have someone in the family that you can designate to assist them? At the Garden, all of our ceremony sites from the Matthew Schmidt Garden to the Kress Oval are accessible to people of all abilities. We also have motorized scooters and wheelchairs available to check out in the Fischer Visitor Center. There is no charge for these, but they are on a first come, first-served basis. One of the best things about having your wedding at the Garden is that you can use nature as your ceremony décor! While little touches to pull everything together is smart, don’t stress on spending your entire budget on decorations. Start with the most important pieces of your ceremony and build from there as needed. You can add an arbor or trellis or even decorate the structure behind your officiant. It’ll stand out in the majority of your photos. You can also post an artsy sign welcoming your guests as they enter the site. Unity ceremonies are also very popular. From tree planting to sand ceremonies to literally “tying the knot,” this is a touching part that everyone will remember. Most couples take the piece used in this part of their ceremony as a keepsake. 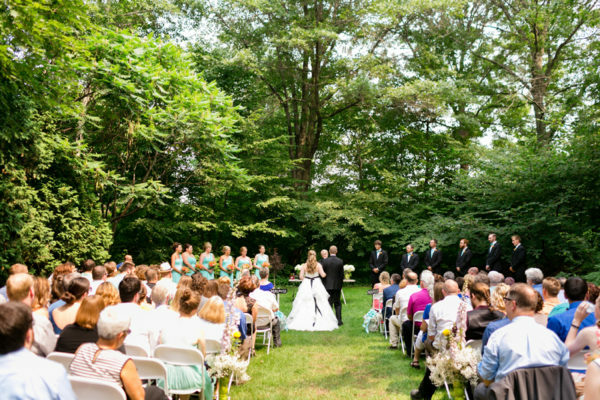 If you want to know more about ceremony sites in the Garden or have questions about having an outdoor wedding, visit our website for more information or contact our Sales & Rental department at weddings@gbbg.org or 920.491.3691 ext. 118.